Cooling down in the summer heat has never been easier since the introduction of frozen beverages into the convenience space. In addition to fast-food restaurants having these beverages literally on-tap, petrol and convenience stores have seized the opportunity to have various flavours and promotions on rotation. According to Compare the Market, teenagers are the main demographic for slushies but kids in particular “take great delight in pressing each button, creating a rainbow drink to combat the Aussie heat”. The Australian Bureau of Statistics surveyed Australians in 2012 on their sugar-sweetened beverage consumption, finding that 61% of 14-18year olds had consumed a sweet beverage as recently as the day before. In 2016, Coles Express took frozen beverages to new heights with the introduction of ‘Big Yum at Little Coles’. The small-form stores were rolled out with cheap coffee and its own branding on the classic frozen beverage. The ‘Guzzle Bomb’ frozen beverage counter became home not only to frozen treats, but also an impressive line-up of flavoured popcorn, ice cream and various lollies to add to the top of the slushies. Some of the Guzzle Bomb stations are still in action, including one in the Coles Express Wattle Grove store. According to IRI, private label accounts for 84% of dollars sold in the category, and is led by 7-Eleven’s brand Slurpee. 7-Eleven spokesperson said: “Slurpee is a genuine Australian icon that has been enjoyed by generations. “We’ve listened to what our customers want from Slurpee – a fun, pour-your-own experience…”the spokesperson said. Low prices, and two focused Slurpee events per year including ‘7-Eleven Day’ and ‘BYO Cup Day’ all contribute to the solid following that Slurpee continues to have. Across the category, frozen beverages are worth $51million, and a total of 4% of the ready-to-drink market in convenience, IRI told C&I. Despite these statistics, the category has seen a slight dollar decline of -1.4% which was driven by the consolidation of multiple pack sizes in an effort to make the offering more accessible. According to Convenience Measures Australia (CMA), frozen beverages represent 10% of all beverage baskets. The two highest factors that contribute to shoppers and their frozen beverage purchases are price and promotion. CMA said that the frozen beverage category has the lowest average age of any beverage category at 29 years old. By contrast, it also has the highest percentage of females purchasing at 48% of any beverage category. SPM Drink Systems Australia is recognised as one of the most innovative companies in its field of frozen beverages and recently became part of the Electrolux Group. SPM said the landscape of the frozen beverage category has changed over the last four years with the introduction of $1 large frozen beverages by fast food giants Hungry Jacks, Mc Donalds’, KFC as well as 7-Eleven. 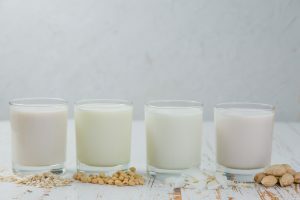 There has also been a push for frozen dairy beverages in the form of Frozen Chocolate Oak and Ice Break by Parmalat and Frozen Dare by Lion Dairy and Drinks. C5 Beverages was established in 2015 in order to have its own granita products that are complimentary to the equipment sold by SPM. A spokesperson for C5 said: “What was apparent is that healthier frozen products are not readily available in Australia”. “Therefore we developed a non-dairy; chocolate frozen mix and a non-dairy coffee base (add your own espresso coffee). Both products are also gluten free,” the spokesperson said. “The non-dairy products took months of development to ensure the product actually tastes great. “Feedback at the 2018 Melbourne Fine Food Show was extremely positive. These types of products provide a different result depending on the equipment used. The focus has been to develop a product with the SPM I-Pro equipment in mind. The main reason being the I-Pro has an insulated bowl that provides a more consistent product. We have not completed testing of how long the product can be kept in the equipment before having to clean it, but our expectation is well over a week. This is a huge benefit as most dairy products have to be cleaned daily. 7-Eleven’s head of marketing Julie Laycock said: “Slurpee Zilched is proving to be extremely popular with consumers of all ages, and growing strongly”. “One in every five Slurpees sold is a Slurpee Zilched containing less than 1% sugar,” she said. J.L.Lennard National Sales Manager Malcolm Stirling said: “Frozen Beverage has been a growth market over the past few years, especially in the Frozen Coffee, Gourmet Shakes and healthier Smoothies”. “Frozen Acai bowls have also seen a huge growth with customers wanting healthier treat options. “Customer want these indulgent treats and are prepared to pay higher prices for these type of products though a lot of businesses may not add these to their menu as they believe they are too hard to make, slow and labour intensive.